Living in the Wild West was an intense experience. There were frequent gunfights, saloons were everywhere, and the men wore crazy mustaches. Fortunately, we still have some unbelievable pictures from those bizarre days in the 19th century. Wait until you meet some of the most colorful characters and hear about the ordeals people had to endure in the Wild West. When Santiago McKinn was just a young lad, he and his brother were out in Mimbres Valley, New Mexico. His brother was killed and McKinn was stolen by the Chiricahua Apache people. Legend has it that General George Crook came to rescue the boy but that he didn’t want to go back to his family. You won’t believe what happened to a young girl named Olive Oatman. Her unbelievable story is coming up. Saloons could be bawdy places. 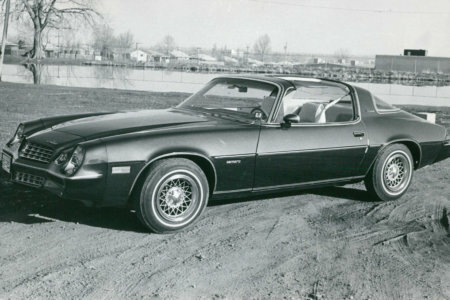 Some had dancing girls and dice games, and others had pastimes like bowling. Some people just went to relax and others partook in the seedier elements offered by the saloons. 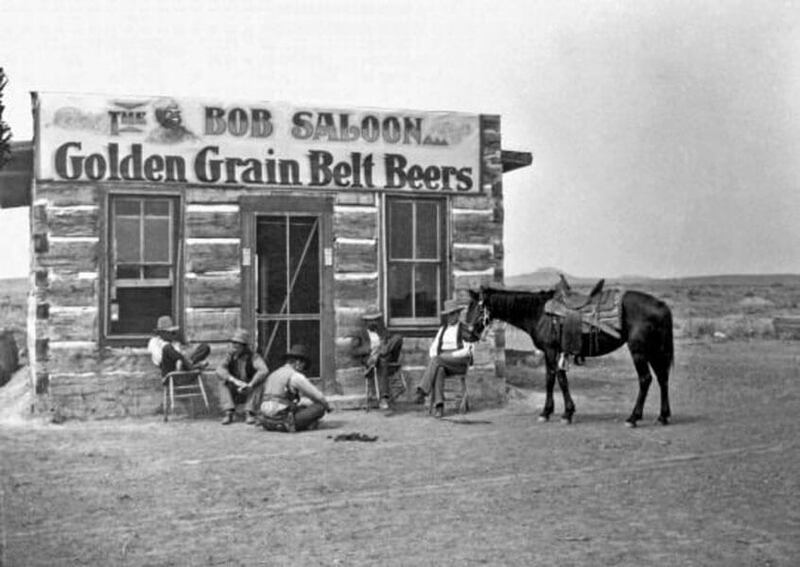 Bob Leavitt’s Saloon was in Jordan, Montana. 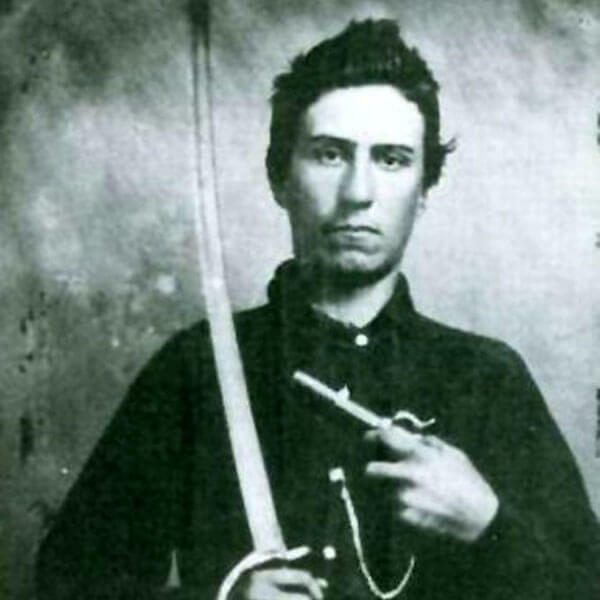 His parents named him John Wilson Vermillion but people in the Wild West called him Texas Jack. He was an amazing gunfighter who worked with the Earps (who we’ll talk more about later) while on the hunt for outlaw cowboys. His other nickname was “Shoot-Your-Eye-Out Vermillion” because he once shot someone’s eye out. This Mission Church was built in 1630. It is one of the earliest signs of the Spanish Colonial era. Located in New Mexico, this church is on the small side but is still impressive. You can still visit it today, if you’d like to experience some history. Get a hold of this legendary lady on the next slide. Her name was Goldie Griffith and she wasn’t just another piece of eye candy. 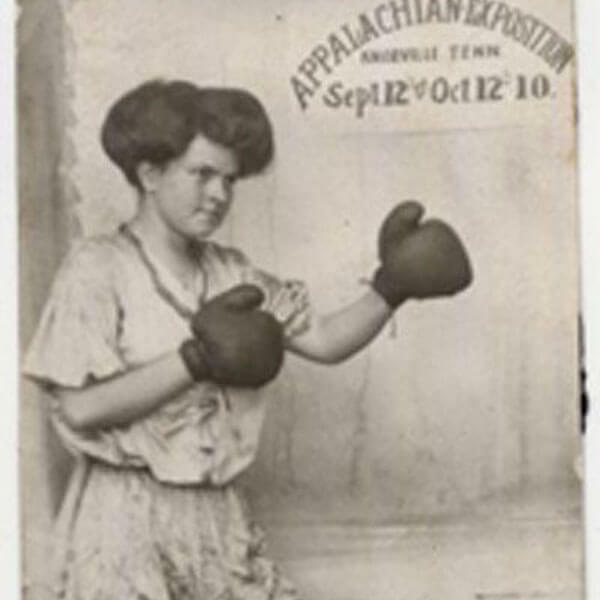 Griffith was a part of Buffalo Bill’s Wild West Show, where she was known for her boxing and wrestling skills. She also had a set of numerous other skills that were more masculine than feminine and these abilities helped her become a star. Keep reading to find out about some of the other amazing people from this period. Mining was an essential part of the Wild West. It was a huge part of the economy and it provided many jobs for people. This mine is located in Virginia City, Nevada. 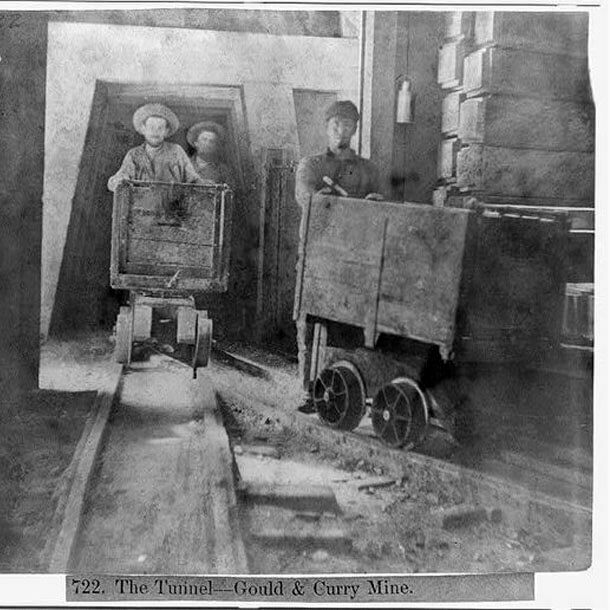 The population of a city was relative to how much resources were available in the mine. So when the materials being mined were at a high in Virginia City, so were the number of people living there. 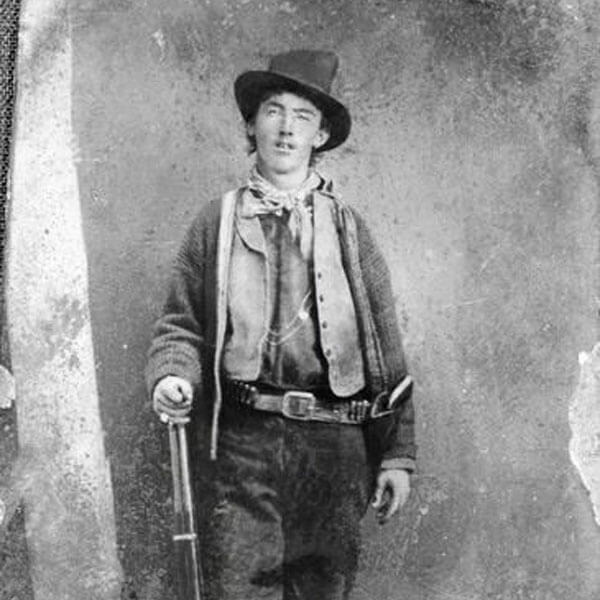 Probably the most famous outlaw from the Wild West, Billy the Kid was a dangerous gunfighter. 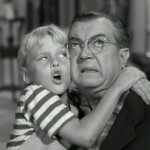 The man who was born Henry McCarty killed at least eight men at a very young age. He was eventually killed by Sheriff Pat Garrett when he was caught off-guard in the dark at a friend’s home. Coming up, a brutal attack on a family leaves a young woman with unusual markings. Burlesque dancers in the Wild West were staples of the saloon scene. 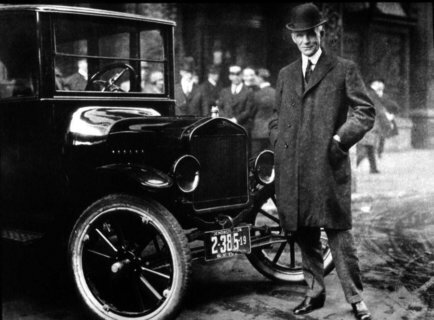 They were regarded so highly that some of them became millionaires. They were called different names based on their locations. 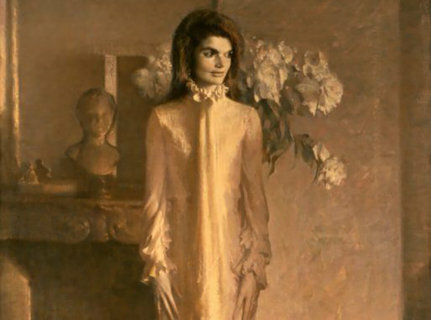 For example, the California-based women were called “soiled doves” by the cowboys. This young woman’s family was attacked and murdered when she was only 14. 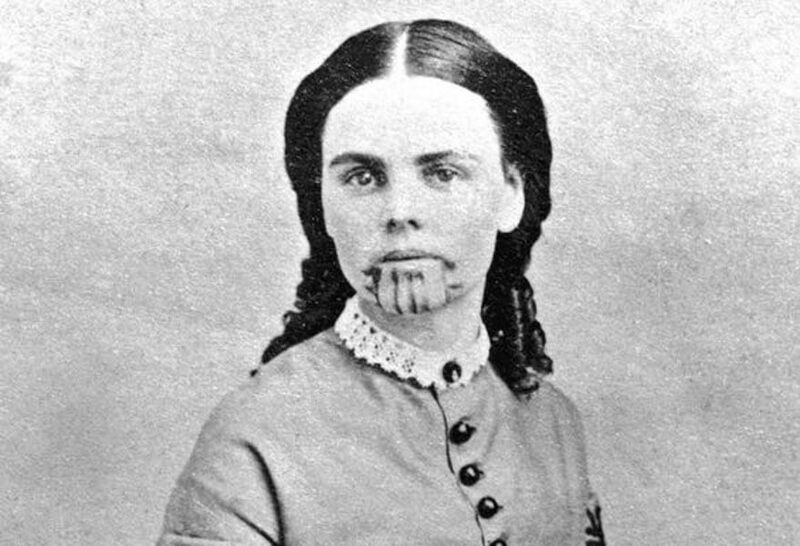 Olive Oatman was kidnapped, along with her sister, before being sold to the Mohave people. The brutal tattoo on her face was a symbol of slavery put on her by the tribe. Meet Charging Thunder. 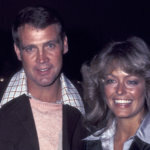 He joined the Wild West Show when he was 26 and eventually married one of the horse trainers. Once he was done with the show, he became a British citizen and worked at the circus in Manchester. He later changed his name to George Edward Williams and found a factory job. 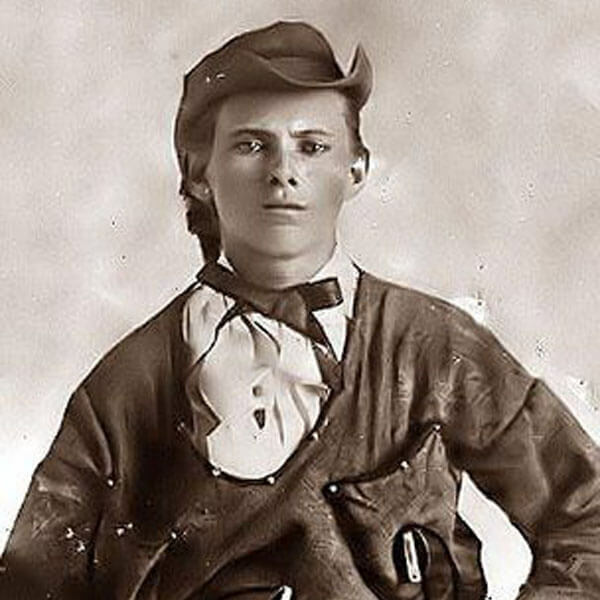 Jesse James was a bad man. 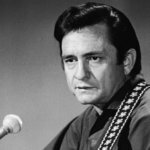 He was more than just an outlaw. James was a gang leader, a murderer, robber, and guerrilla fighter. He and his brother formed the Younger Gang together. The two were Confederate bushwhackers during the Civil War. That’s quite a sibling bond right there. 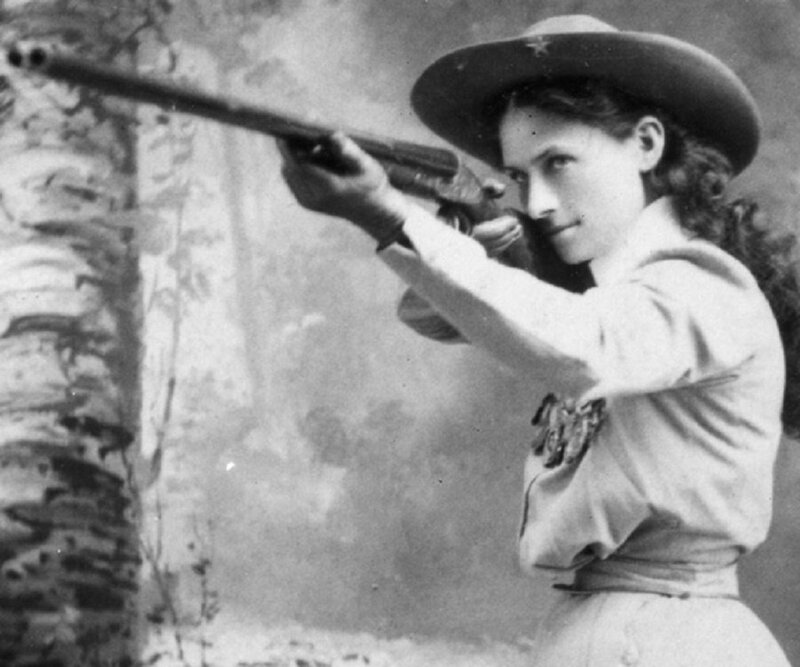 One of the most famous Wild West characters, Annie Oakley rose to fame at a young age. She trapped and hunted by the age of eight, and became a great sharpshooter when she was 15. She did all of this to support her family after her father had passed away. The Sioux Nation is comprised of three tribes (Lakota tribes, Western Dakota and Eastern Dakota). 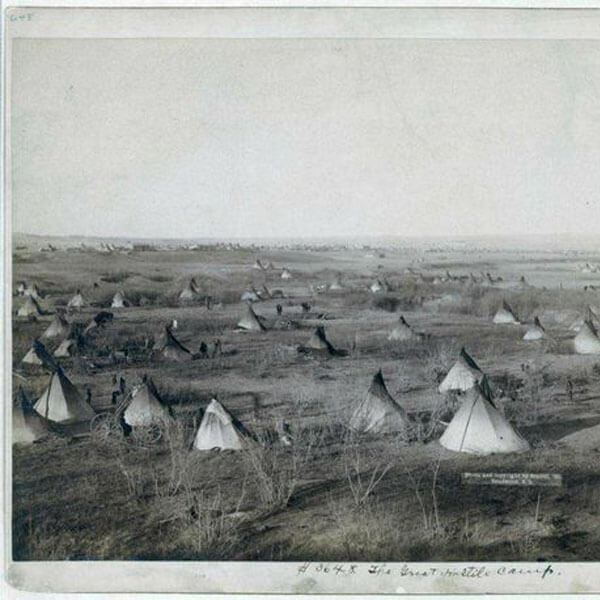 They lived in the Great Plains, hunted bison, and built these teepees as their homes. This picture was taken in the Dakota Territory. 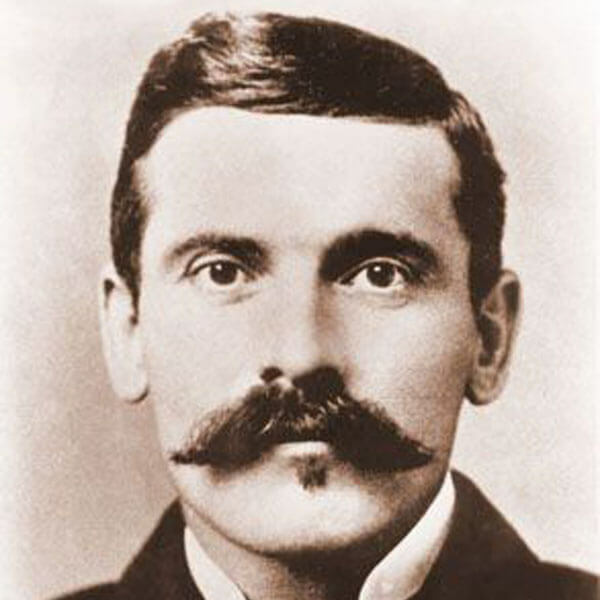 Here we see another well-known man by the name of Doc Holliday. He gained notoriety through his gunfighting skills. He was also a gambler and dentist. Holliday was diagnosed with tuberculosis while he was a dentist and that is when he went off to become a gambler in Arizona. If you were a respectable woman then chances are that you weren’t allowed in the saloons. 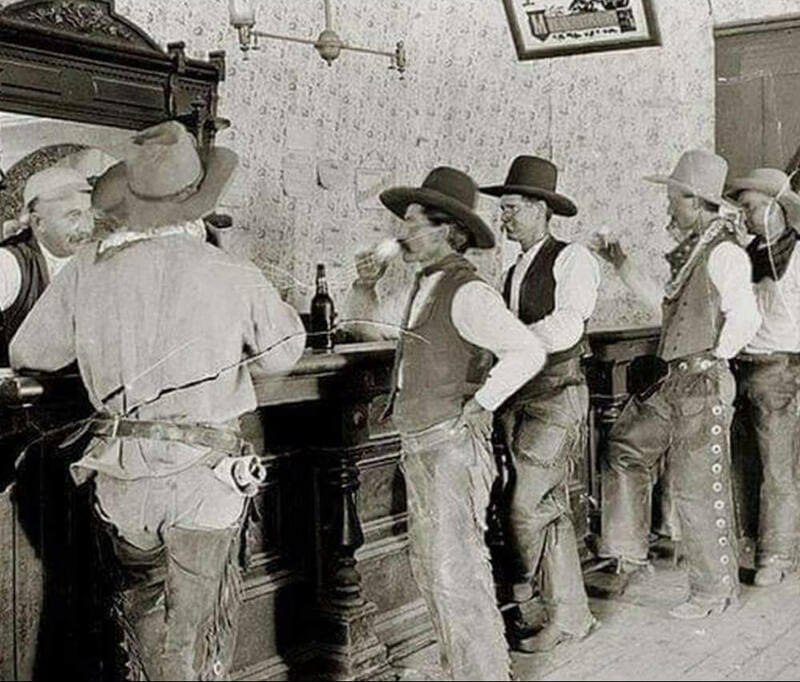 Those barstools were reserved for the dancers and saloon girls. If a woman wanted a drink then she would be getting their brew through the back door. A friend of Doc Holliday, Wyatt Earp was into gambling even though he was a sheriff in Arizona. He earned his fame after a gunfight at the O.K. Corral in which he killed three cowboys. 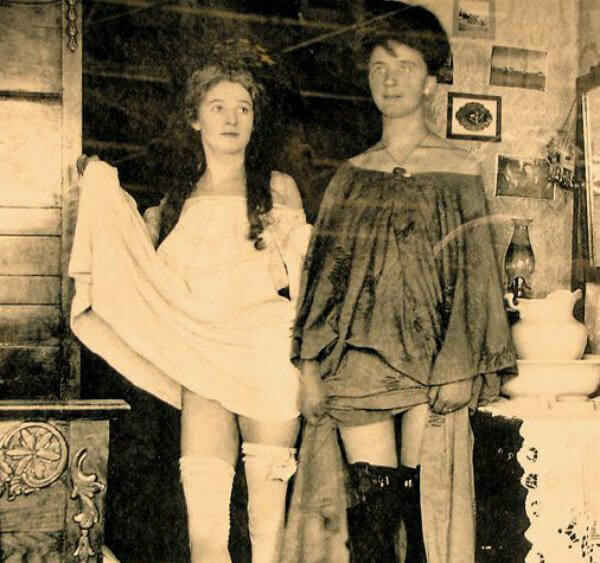 The gambler, brothel owner, and miner was called an “old offender” by a local newspaper. 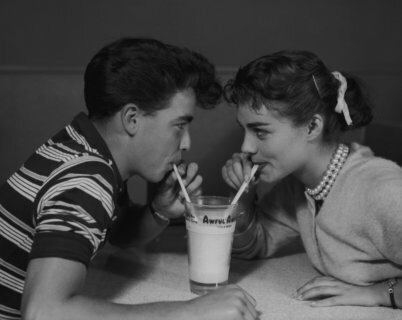 In what could be an entertaining movie storyline, Rose Dunn became romantically involved with gang member George “Bittercreek” Newcomb when she was only 15. Newcomb’s gang got into a shootout and went into hiding. When Newcomb came back to visit Dunn, her brothers shot him and collected his bounty of $5,000. Some say Dunn set him up, but we’ll never know. 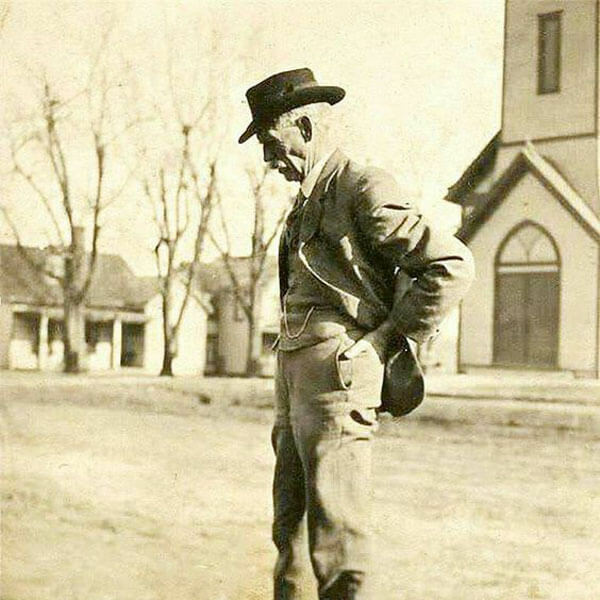 Charley Nebo was a well-known cowboy out in New Mexico, Nebraska, and Texas. While serving in the Union Army during the Civil War, he sustained an injury which handicapped him. He then became a stockman. He was friends with Billy the Kid. Sure, there are plenty of men on this list who were highly known for their gun skills. But there were some women who had skills with their weapons as well. 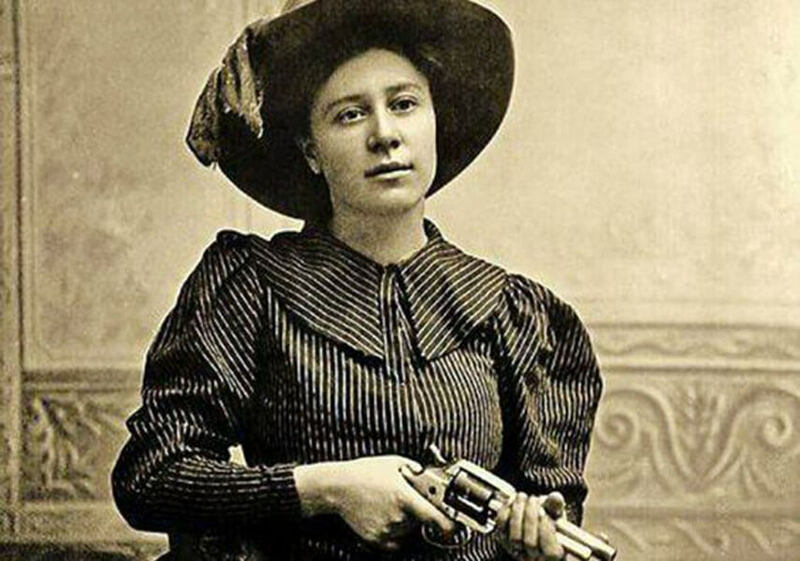 Women like Big Nose Kate, Calamity Jane, and Lillian Smith were some fierce women who could be deadly when they wanted. 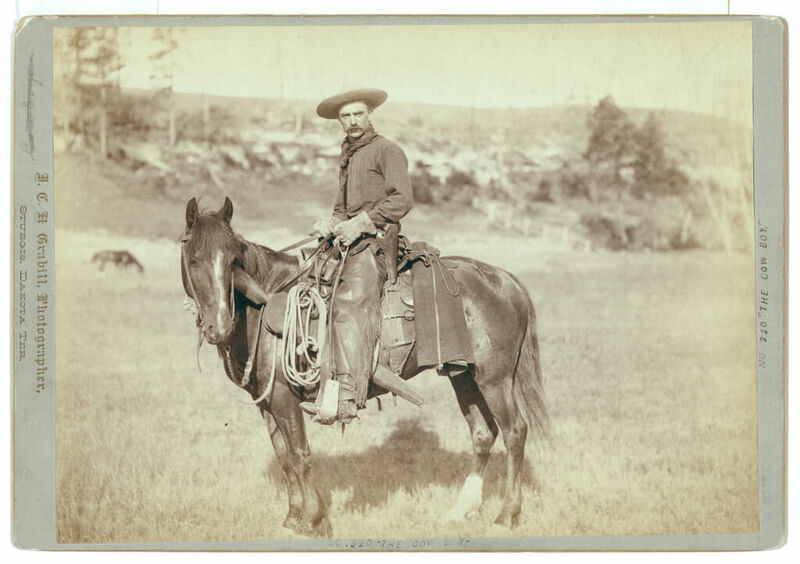 The word “cowboy” stems from the Spanish term “vaquero.” The word means a livestock herder riding a horse. The cowboy tradition also has Spanish and European roots. 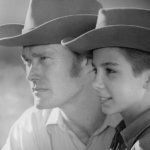 You needed skills and a lot of strength from an early age to be able to be a cowboy. The standard attire for a cowboy was a pair of jeans, leather gloves, a bandana, boots, and a wide-brimmed cowboy hat. Young men flooded the American Frontier with dreams of the gold rush, which meant there weren’t a lot of women around. For the women who were already in the West, this meant big business. Savvy women opened up brothels and hired other women who came to the West as well (if they weren’t there to pan for gold themselves). It is from the Wild West where the quintessential cowboy look was born. They rode their horses complete with a bandana, leather gloves, chaps, boots, and a cowboy hat. 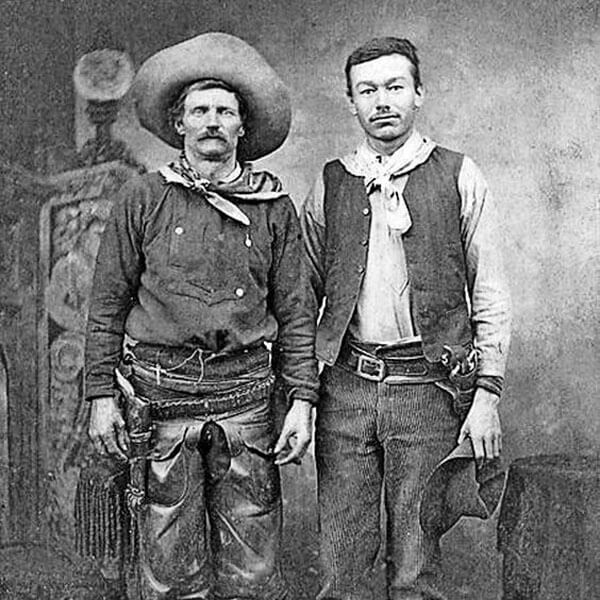 While cowboys were often depicted as being white men, in reality many cowboys were also freed African-Americans, Mexicans, and Native Americans. 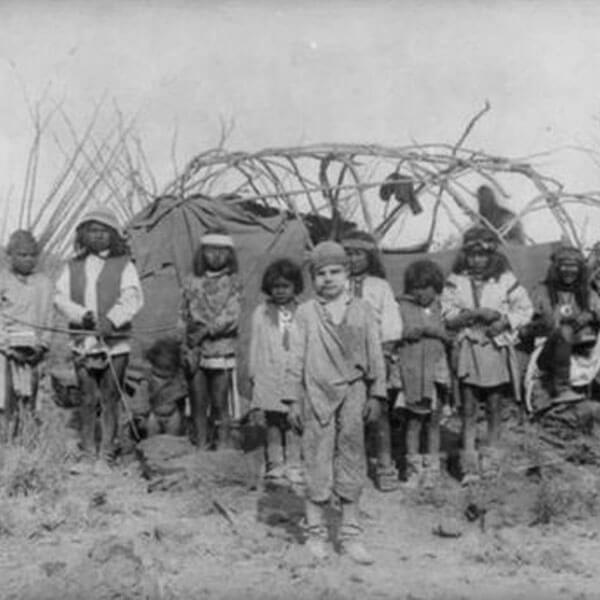 Maiman was a Native American from the Mojave tribe. 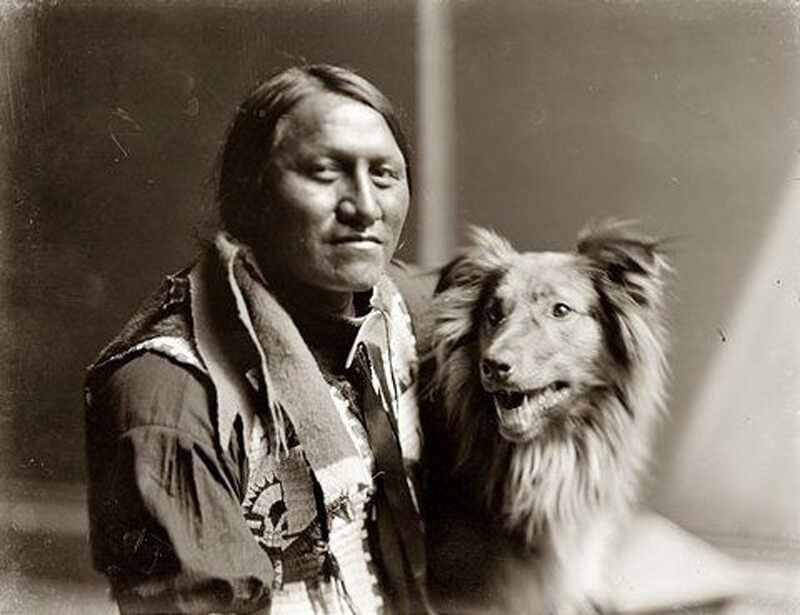 He was often a guide and an interpreter, especially for photographer Timothy O’Sullivan, who took this picture. Maiman was crucial in helping to scout out locations for photographs. O’Sullivan chose rather to capture his Native American subjects in a natural setting, as opposed to a studio. This miner was captured hard at work in Virginia City, Nevada. 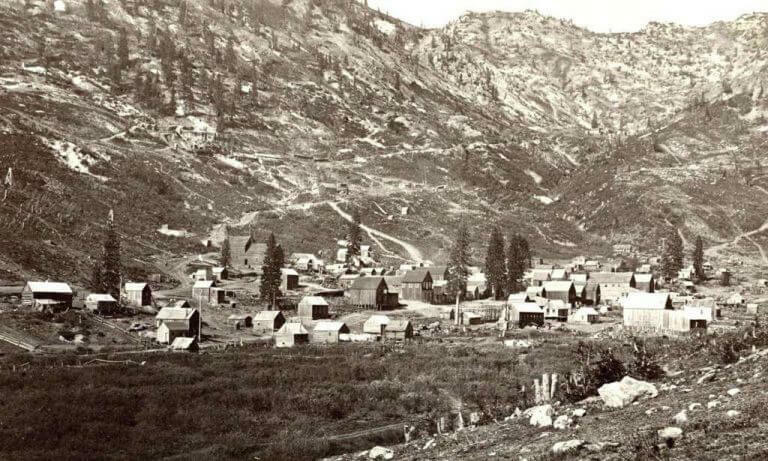 After silver was discovered there, many people flocked to Virginia City to work in the mines. This one in particular is 900 feet underground. After the mine was excavated clean, the city’s population died down. 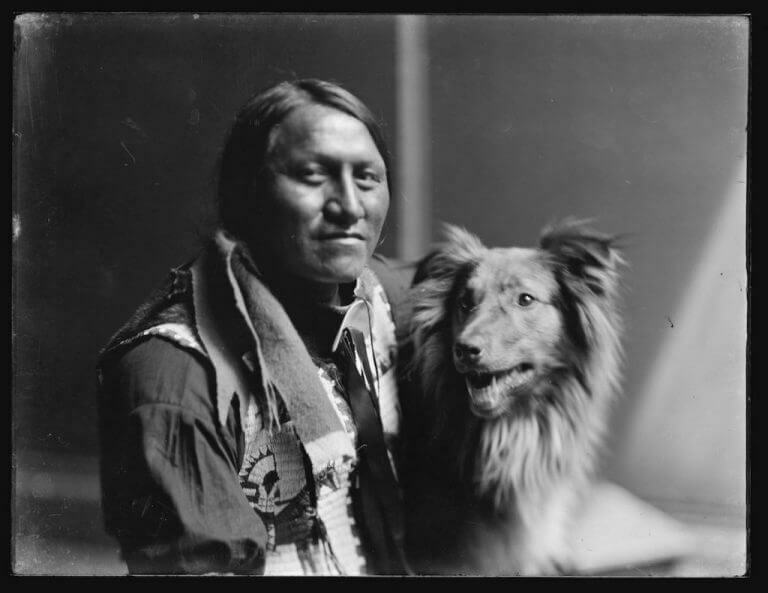 Charging Thunder was a Lakota chief who joined Buffalo Bill’s Wild West Show at the age of 26. He is one of several Native Americans who were in the company and had the chance to travel the world. 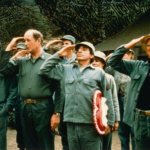 Later in his life, he settled in the United Kingdom, where he worked as an elephant trainer. Little Cottonwood Canyon is located just 15 miles from Salt Lake City, Utah. Many mining towns like this popped up all over the west. Those in the Utah area were often founded by Mormon miners, who helped build Salt Lake Temple with quartz monzonite, granite, and granodiorite. 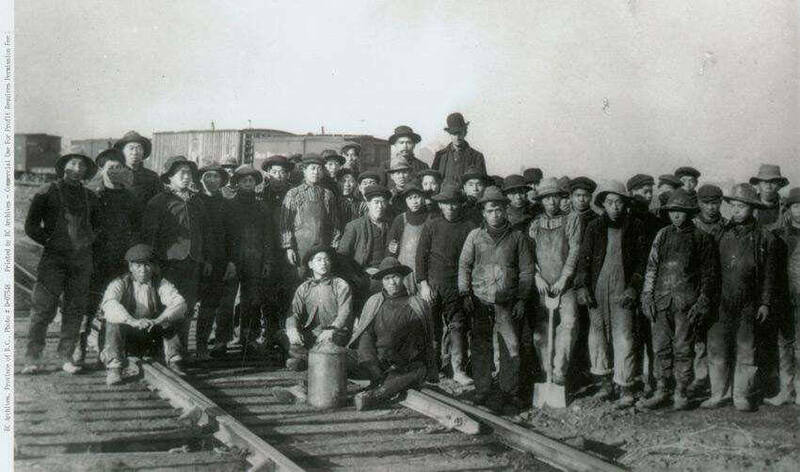 One often forgotten fact of the Old West was that about Chinese railroad workers. They were often paid very little in comparison to their white counterparts and companies refused to provide room and board. If not for these men, the Transcontinental Railroad might cease to exist. 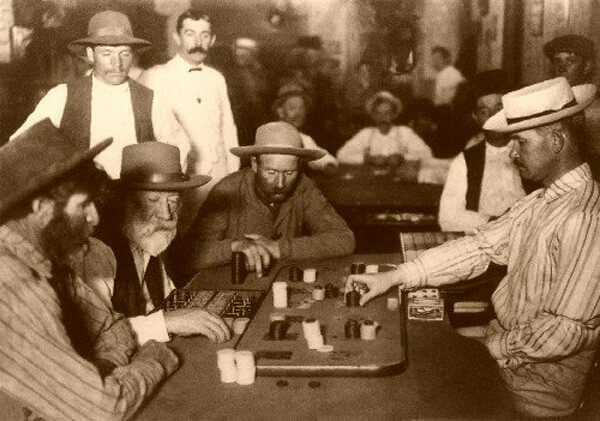 Many cowboys and other men of the Old West often found themselves making wagers in gambling halls. In fact, many structures built in the West were built as gambling halls, which shows what people back then really valued. Back then, this was such a popular sport that it was considered a profession. This is the bathhouse in Hot Springs, South Dakota. 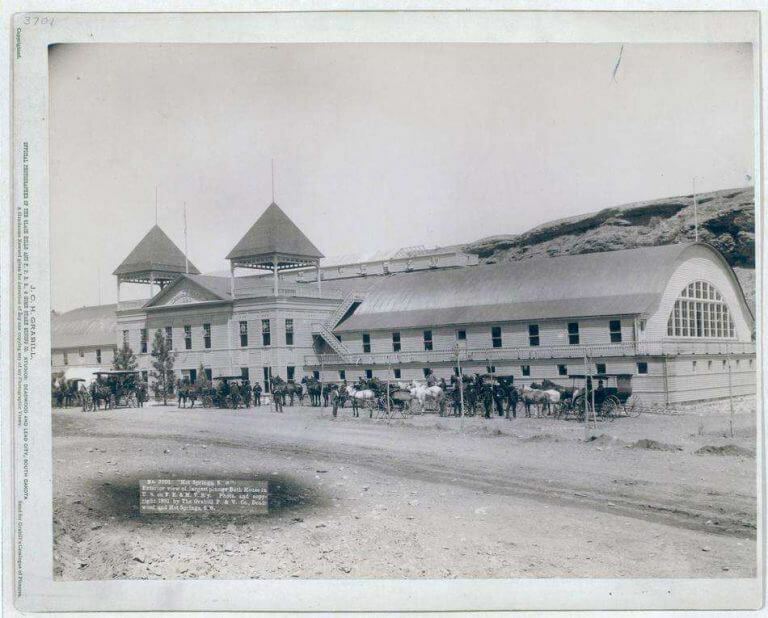 The area was hailed for its warm, natural springs and frequented by the native Sioux and Cheyenne tribes. They considered the springs to have healing properties and therefore regarded Hot Springs as a sacred space. 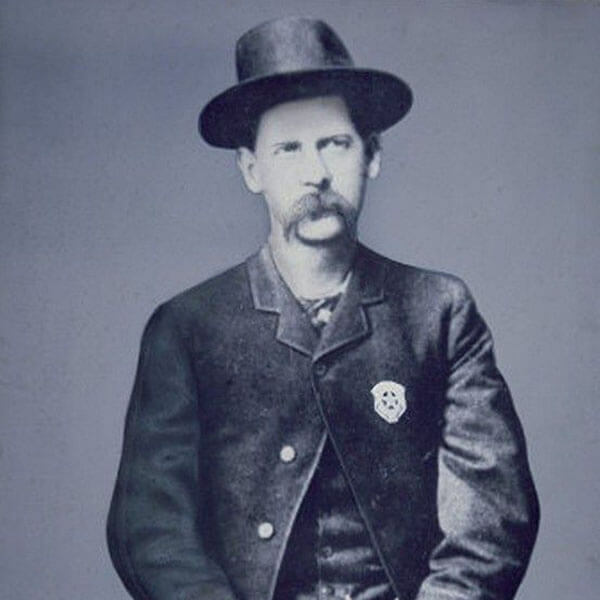 This is a photo for William Whitney Brazelton, a famous outlaw in the late 19th Century. 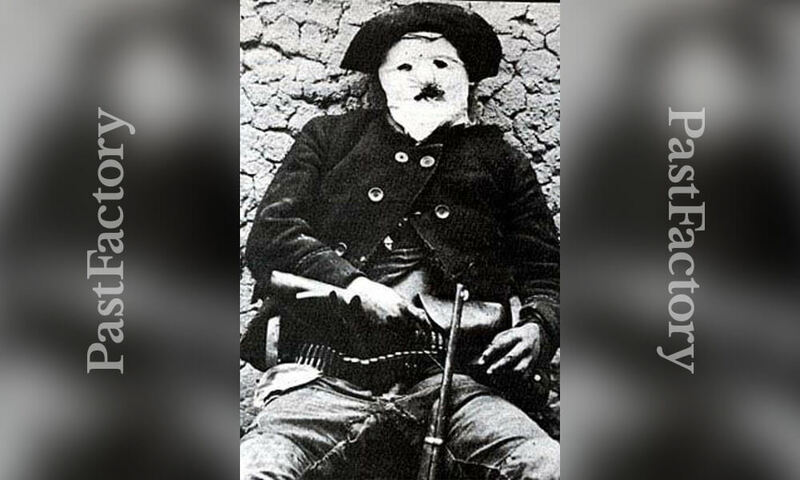 Known as Bill Brazen, he often wore a mask to hide his identity from his victims. This particular photo was taken just after Brazen was shot dead by Sheriff Charles A. Shibell and five of his men in 1878. After traveling so much with Buffalo Bill’s troupe, it’s important to take some time aside to relax. That’s exactly what these fellows are doing. 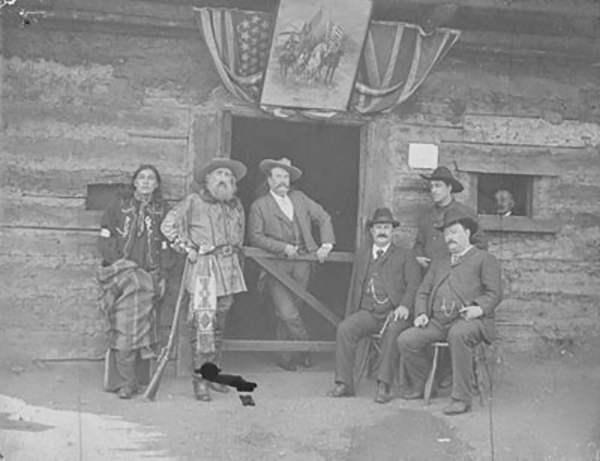 Pictured are John Nelson and John Burke with some cowboys and a Sioux Native American. He might actually be Charging Thunder. In the Wild Wild West, of course, there will be! And no refreshments were better than beer, whiskey, and bourbon! Some fancy saloons also served what was called “cactus wine,” which was a mix of tequila and peyote tea. Cowboys back then knocked these back like no one’s business! 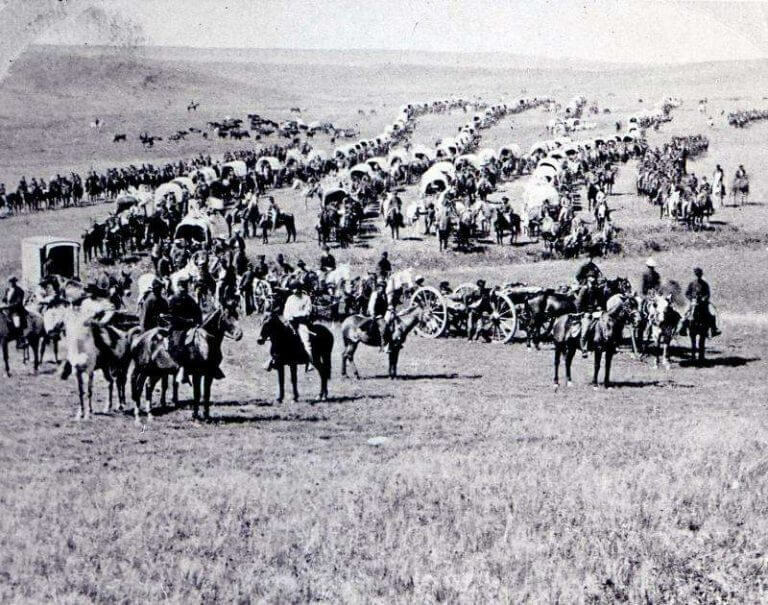 This is a photo of cavalry, artillery, and wagons commanded by General George A. Custer. They were crossing the Dakota territory on their fateful journey west. This was likely before Custer’s Last Stand during the Battle of Little Bighorn, which took place in modern-day Montana. 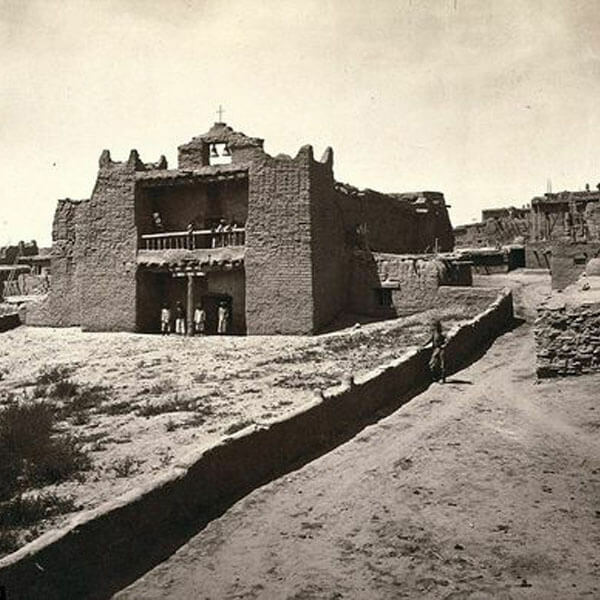 Here’s another classic photo by Old West photographer Timothy H. O’Sullivan. 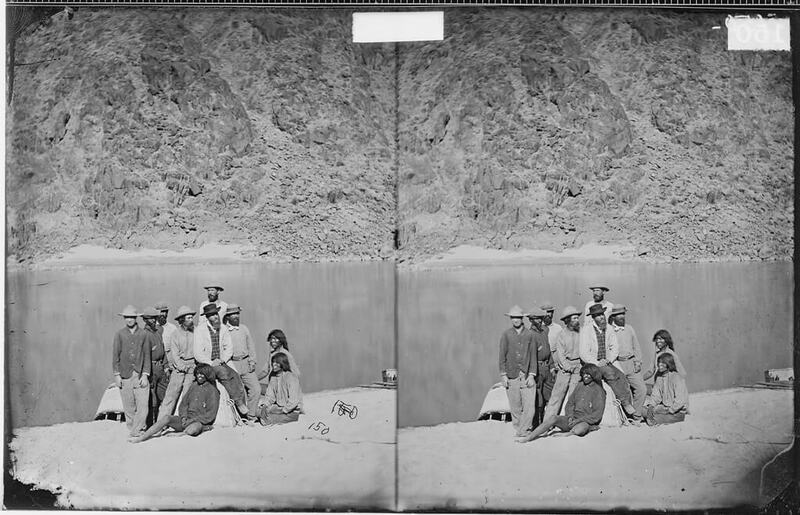 Sullivan captured this boat crew at Diamond Creek, which is located along the Colorado River. Some sources say this is The Wheeler Survey Group, which embarked on an expedition to survey the Western United States. Timothy H. O’Sullivan also captured moments of Native American family life in the Old West. 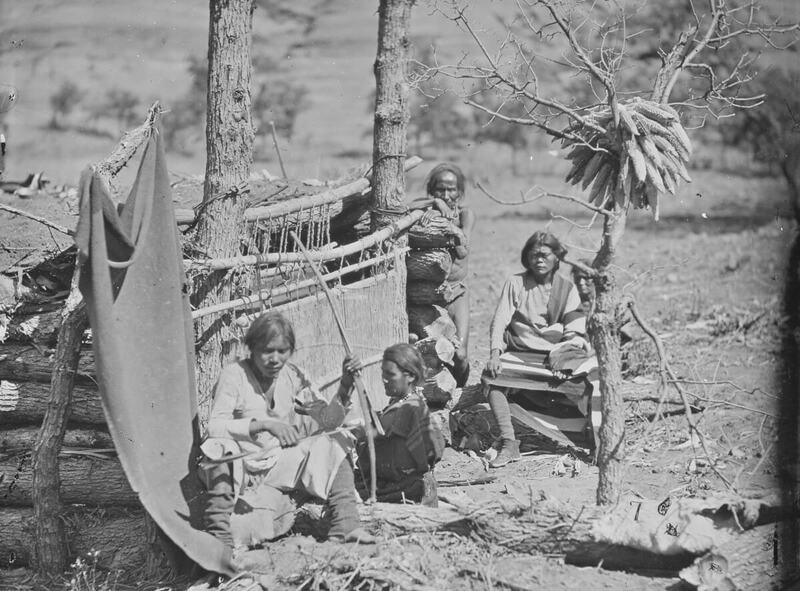 This is a photo of a Navajo family in Canyon de Chelle, which was located in the New Mexico Territory. 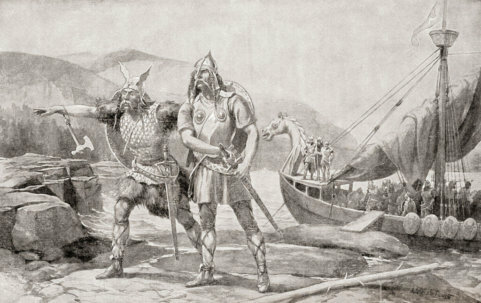 On the right, you can see a woman with her loom and on the left, a man holds a bow and arrow. In 1871, Timothy O’Sullivan joined a geological survey team, which enabled him to travel all over the West. 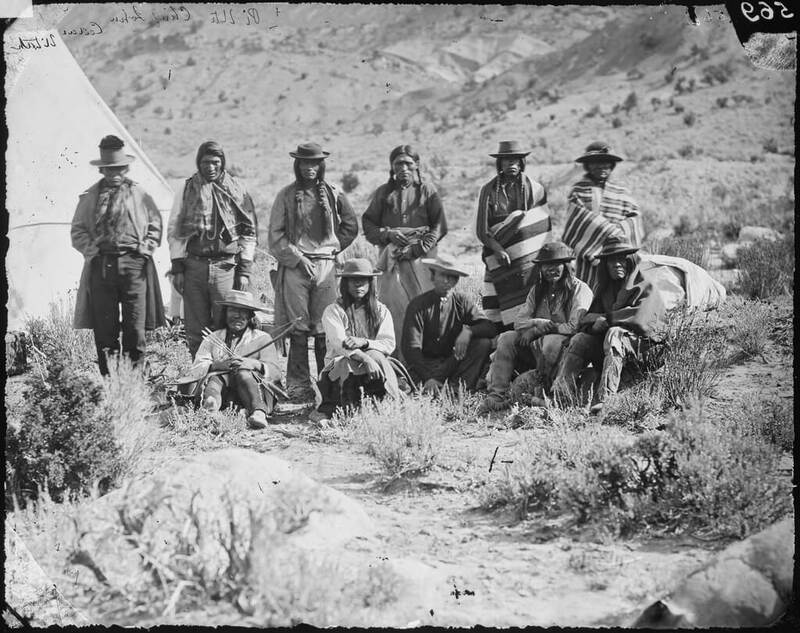 While in Cedar, Utah, O’Sullivan captured this shot of members of the Pah-Ute Indian Group, also known as Paiute. 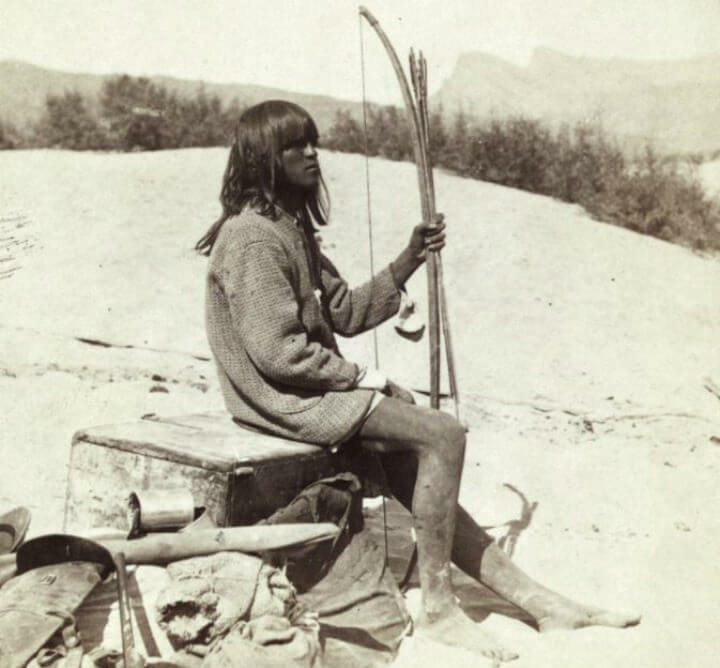 These guys were likely of the Southern Paiute people, given that they were in Utah. 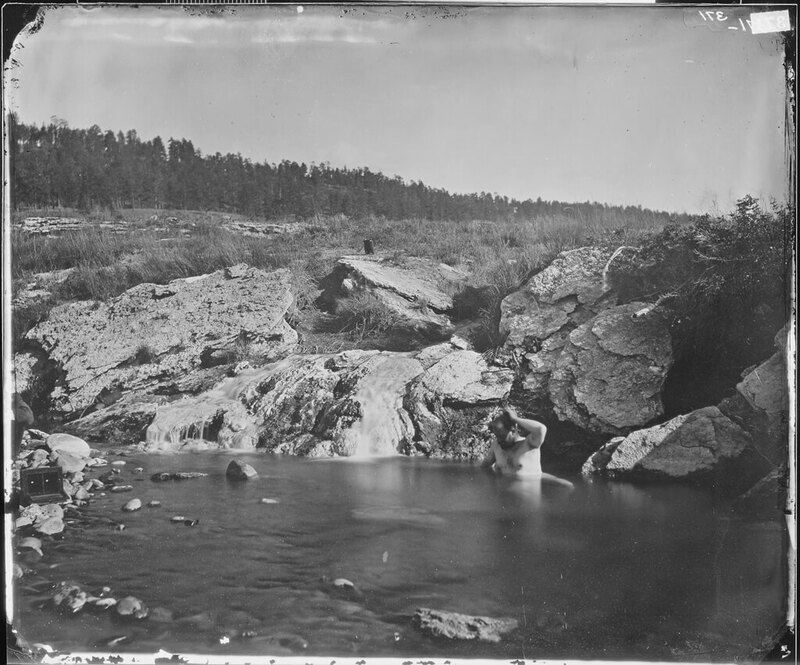 This is a photo of a man bathing in the Pagosa Hot Springs of Colorado. It must have been refreshing for this man to have the springs all to himself. 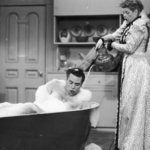 It certainly would have felt better than a sponge bath, which is how people in the Old West often bathed. 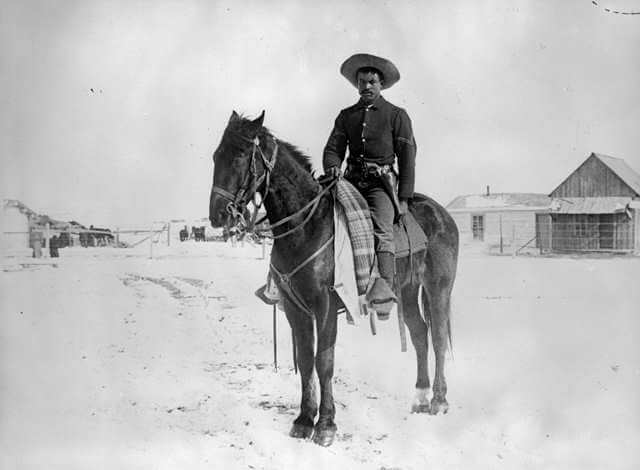 This is a Buffalo Soldier in the 9th Calvary Regiment of the United States Army in 1890. The name was given to African-American members of the cavalry by Native American tribes during the Indian Wars. The Buffalo Soldiers were established by Congress as all-black regiments in the Army back then. Cowgirls were prominent during the Old West as well and it seems that people are forgetting about that! 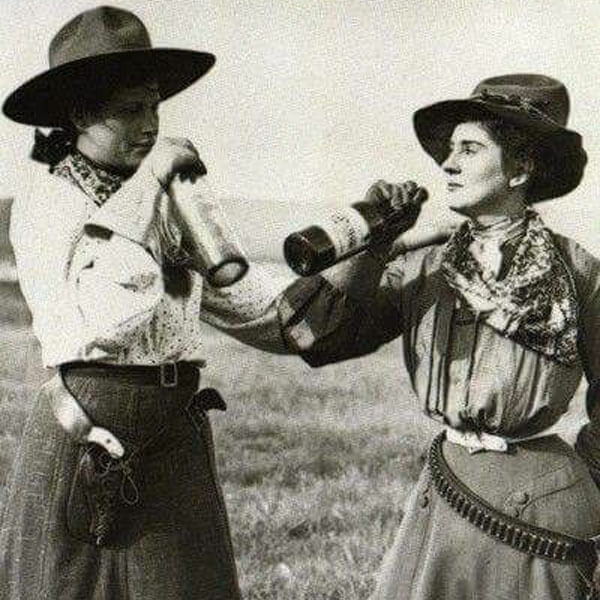 These women were just as tough and wild as the men, riding broncos and shooting guns. The most famous cowgirls are perhaps Annie Oakley, Calamity Jane, and Pearl Hart. 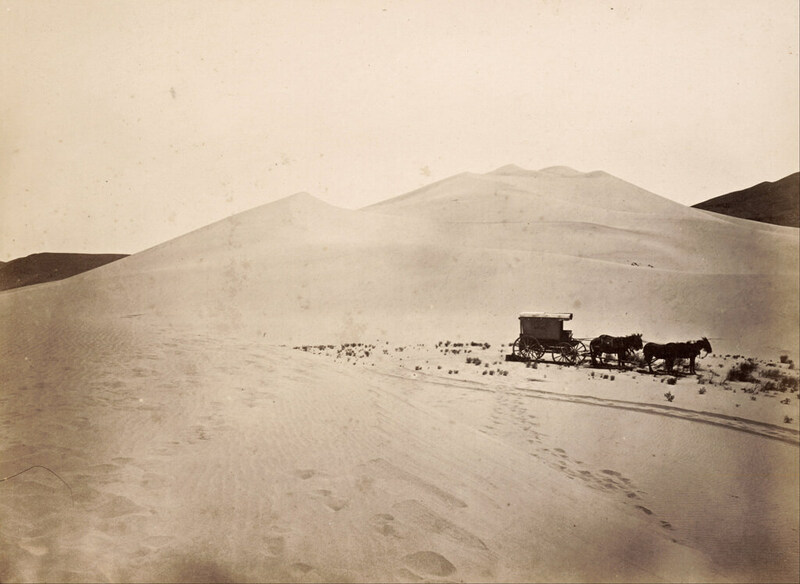 Timothy O’Sullivan captured this photo of a wagon crossing the sand dunes of the Carson Desert in Nevada. Much of the Western United States turned out to be desert, which might have come as a surprise to the folks who traveled out there for the first time.